A GOSPEL-CENTERED PEOPLE; CHANGED, CHALLENGED, AND COMMITTED TO GOD'S GRACE, BECAUSE JESUS CHANGES EVERYTHING. At Cross & Crown Church, everything we do revolves around the fundamental truth that the Lord Jesus Christ lived a perfect life, died for our sins and rose from the dead. Our leadership is composed of seven elders. As a board they are committed to Cross & Crown in many ways, including teaching, leading and serving. These seven men are committed to helping the people of Cross & Crown grow in their faith and love of Jesus Christ. We have several ministries at Cross & Crown that serve many different seasons and walks of life. Are you interested in getting involved? You can find more info for Kids Ministry, Youth Ministry, Women’s Ministry, and our Community Groups by clicking the image above. God has blessed Cross & Crown greatly, and we want to share those blessings with others around the world, who help spread the Gospel. As a church, we give away 10% of our budget to other Jesus-serving organizations. You can find all of our sermons, music, live stream, blog and resources here. The heartbeat of our church can be found in the Cross & Crown app. It’s here you’ll find all of our sermons, community groups, music, resources and more. Download it now and get connected! 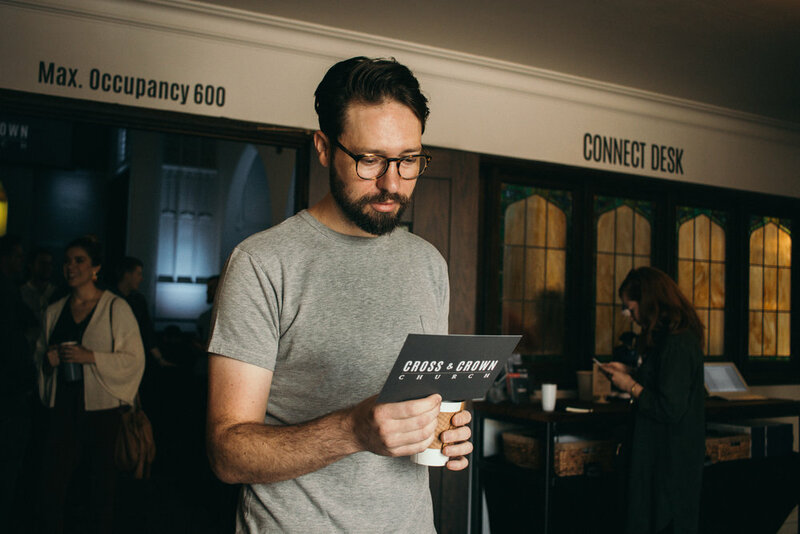 We believe that church is much more than a Sunday service — it’s about engaging in community and experiencing the growth that Christ has for us as a community. Click the button below to connect. One of the ways we communicate important news and information is through our email newsletters. You can sign up with the button below to get and stay connected. At Cross & Crown Church, we love baptisms and seeing individuals make their proclamation that they’ve decided to follow Jesus! Baptism carries great importance. We want you to fully understand why you should be baptized. Interested in watching this week’s sermon?